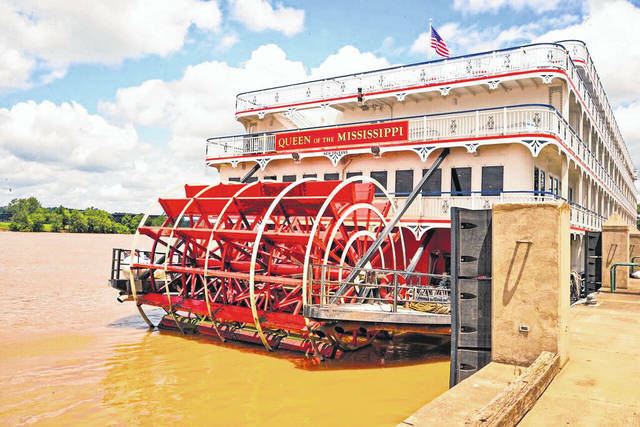 The Queen of the Mississippi is an American Cruise Line paddlewheel riverboat which combines modern amenities with designs mirroring the days when steamboat paddlewheelers traveled the Mississippi River in the early 19th century. The American Queen is the largest steamboat ever built and is described as a gracious and elegant triumph of American ingenuity. POINT PLEASANT — Point Pleasant is expected to be visited by not only one, but two river royalties. The American Queen will be docking at Riverfront Park Friday, July 13 for the day. Denny Bellamy, Mason County tourism director, shared the ship’s passengers will be offered tours from 1-5 p.m. for exploration of Main Street and Fort Randolph. According to Bellamy, on Sunday, July 15 until Wednesday, July 18 the Queen of the Mississippi will be returning to dock at Riverfront Park. Bellamy shared since the ship’s emergency visit to the city last month went so well, they have decided to visit again. He said the ship’s passengers will be offered tours on Main Street on Monday, July 16 and Wednesday, July 18 from 9 a.m.-noon. Neither ship will be open for the public to tour, however, interested viewers may photograph and admire the ships from the Riverfront Park. 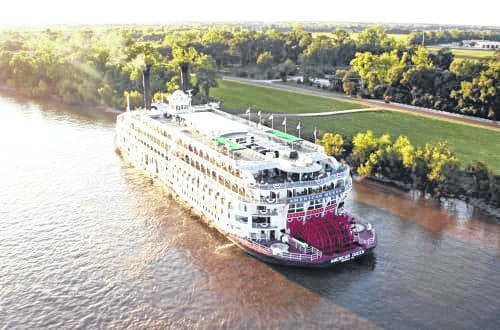 According to the Cruise Critic website, the Queen of the Mississippi is an American Cruise Line paddlewheel riverboat which combines modern amenities with designs mirroring the days when steamboat paddlewheelers traveled the Mississippi River in the early 19th century. Voyages on the ship are described as being “an authentic paddlewheeler experience with all the comforts of home,” according to American Cruise Line. The ship was built in 2015, originally called the American Eagle, but took the name Queen of the Mississippi one year later. The ship has seven public lounges, one being the Magnolia Lounge and another being the Mark Twain Library and Chart Room. Some information was used from the websites https://www.cruisecritic.com and https://www.americanqueensteamboatcompany.com https://www.americancruiselines.com in this article.